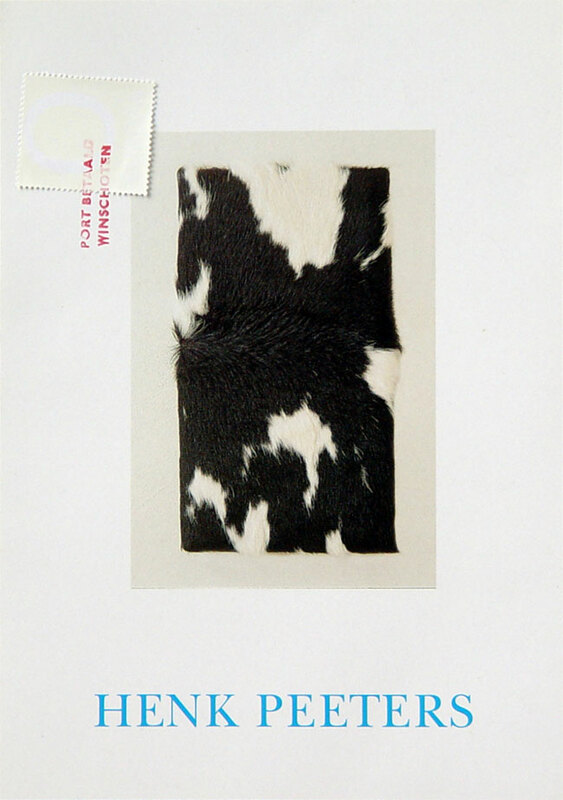 This invitation card of Stichting Galerie de Boer-Waalkens, Finsterwolde in The Netherlands was send by mail. A limited amount of people received the card with a stamp invalidated with a hand stamped text ‘Port betaald Winschoten’. published by the artist, includes letter d.d. 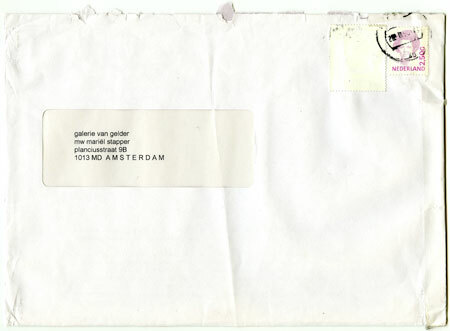 20.03.1998 with Dutch text about his exhibition “Zero international” in Nice and his coming exhibition in Galerie van Gelder, Amsterdam. During the opening of “Zero international” in Nice Henk Peeters was thanked by and introduced to mayor Jean-Marie Le Pen. He refused to shake hands with the French leader of the National Front party.